The team fee, payable by every player, is $85 for Varsity and $60/ea for JV & JVC which includes uniform socks and 1/4 zip pullover/warm-up. If your player has their Under Armour socks from last year JV/JVC to re-use, reduce the payment amount by $14 to $46. Varsity has new uniforms & new socks, so the old ones are only good to wear to practice. See pdf file "Parent Meeting Agenda and Program Outline Letter " on this page to download the handout from the meeting. See team rosters on each team's tab under Roster. Player numbers are not yet updated, but will be before first games on 3/14. You can print theroster and use to cheer for players at the matches. See the calendar/schedule at top of each team page. See at bottom right iCal, RSS, and click to subscribe. Practice schedules are on the calendar for each team. You can subscribe to the specific team's (JVC, JV or Varsity) calendar feed so that only those practice & game times load on your personal calendar. Direct any questions to Coach Hiram or use the GroupMe app (if you have been added with your cell#) to inquire about times. Many *factors were considered in the process of determining which players will make the team. Together, the factors help to create an overall assessment of each individual player. For any given player, one factor may be more significant than another. The overall goal in the selection process, however, is to end up with the strongest possible team, both for the present season and for the future of the program. The team schedules are posted on this website by team. You can check/verify the Metro League schedules at this link. Click 'Schedule' under 'Ingraham Boys Soccer'. Make sure you are looking at the correct team (Varsity/JV/JVC) schedule. The schedules are posted on the Metro League site. They are also posted here on this Boys Soccer Team pages, by team, on the Game Schedule tab. JVC schedules come out after tryouts, when the district knows how many schools have a JVC team. You can subscribe to the Metro League schedule, which will have the latest schedule updates, barring any "day of" weather-related issues. However, communication from the site isn't entirely reliable. Get a message sometimes. Other times, nothing. There will be an all teams party on ? from 6-7:30 held in the Ingraham lunchroom (maybe). It's a potluck dinner, so please bring something to share. There will be a Signup Genius link sent via email. I will post it here too, once ready. UPDATE: As of Feb 2019, communications will be primarily through Instagram account. FB account will not be updated regularly. When are tryouts? Tryouts begin on the first practice day allowed by the WIAA (WA Interscholastic Activities Association) for the season. In 2019, the first day of spring sport tryouts is Monday, February 25th. What should I be doing in the pre-season? 1. If you're new to Ingraham soccer and haven't already given your contact info to the new head coach, Hiram Hoffman, or returning captains, Zak Smith and Paul Fallon, please make sure the captains know you are interested in playing and plan to try out. 2. Attend Captains' Training Sessions - see link to FB page has last-minute changes posted by players as they hear about them. There is an Instagram page for Boys Soccer (@ingrahamboyssoccer) and the FB page will collect dust. 3. Players and parents, please continue to check this website and the boys soccer pages every now and then for new info and announcements. If something on the site needs updating, please email jzfallon@gmail.com if you do not know who else to ask. 4. Get a physical, if needed to complete your sports paperwork. Players are required to have a physical every 24 months before they can attend tryouts. The sports physical form is available in the office or online (here). The form, signed by your doctor, becomes part of the spring sports paperwork to be turned in before tryouts. You can also arrange to get a free physical at Ingraham's Teen Health Center. If you are unsure if your physical is current, you can check on The Source or if unable to access The Source, ask Maria Medina in the Main Office if you need to update your physical..
5. Keep your grades up! Players are required to have at least a 2.0 GPA to participate and grades are checked before every game. It is no fun for you or your teammates if you can’t play because you let your grades slip. How many teams are there? The plan is for there to be 3 teams: Varsity, Junior Varsity, JVC. Players will know which team they are on by the end of tryouts. The number of teams will be based on how many players try out. Are there cuts? Maybe, and maybe not. It is hard to say without knowing how many players tryout. When and where are practices? High school sports are five days a week (occasionally six) so when you don’t have a game, you have a practice. Practices are after school at Ingraham. Who and where do we play? IHS competes in the Metro 3A league. There are 16 Metro schools. For soccer, the teams are divided into the Metro and Sound divisions, each consisting of 8 teams. We play each team in the league once. Generally, the JV plays the same team but at home when varsity is away and vice versa. Varsity home games are at Ingraham Stadium, JV home games are at Ingraham fields north. The JVC teams have a unique schedule because not all schools have a JVC team to play. What is the post-season schedule? Only the varsity team has play-offs, with games beginning the week that the regular season ends. Brackets are posted on the Metro League site at the time. When does the season end? The season ends early-May. If varsity qualifies for post-season play, trainings and games may continue for another 2-3 weeks. Snacks/Meals? Please send your players with some protein, carb food to keep them running. How much does it cost? Besides getting the ASB card, (ASB = Associated Student Body), which is $50 in 2018-19, there will be team fees to cover socks and a 1/4 zip warm-up top that players will keep. We seek to provide scholarships for players who need support. All players have to buy socks to wear. if you aren't sure if you need a physical exam to participate in sports, ask Ms. Medina. She is located in the main office. Ask her nicely when your last physical was that is on file with the sports paperwork, and she can tell you if you need a new physical before tryouts/soccer season. all paperwork for Boys' Soccer needs to be submitted! 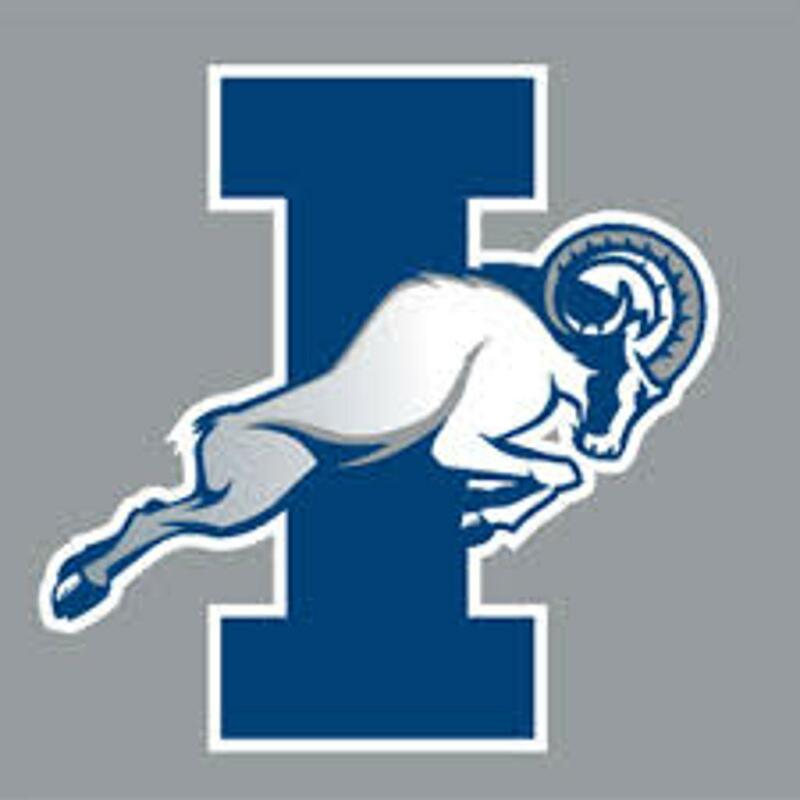 IHS Sports paperwork is available on this website here. If you don't have an ASB card, you will need to get one. Physicals can be scheduled in the Teen Health Center at school. Any questions about this position can be directed to our Athletic Director, Traci Huffer. If you are interested in making a tax-deductible donation to the Boys Soccer program, you can! Write check out to "IABC" for the general fund. This supports all sports at the school. If the donation is going toward a specific request, e.g. uniforms, please write that in the memo line. Please provide your address, so that a receipt can be mailed to you. There will be a great opportunity to connect and figure out needs at the Parent/Coach meetings on March (maybe the 5th- still to be confirmed). Please plan to come. If you cannot make the meeting, you can reach out to me, Jen Fallon, at jzfallon@gmail.com or your player's coach. Drivers to/from matches? This will be especially important for JV-C matches. Mostly, the coaches keep it all running on their own, with the help of the student team managers, but the teams could benefit greatly from having more parental involvement and support. Thanks!